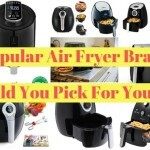 Deep fat frying is well-renowned to be one of the most popular cooking methods in home kitchens that tend to be accompanied by various types of fryer accidents. 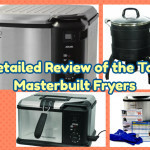 Accordingly, recent statistics reported by the United States Fire Administration indicate that two-thirds of all home deep fryer accidents occur when food or cooking materials catch fire. 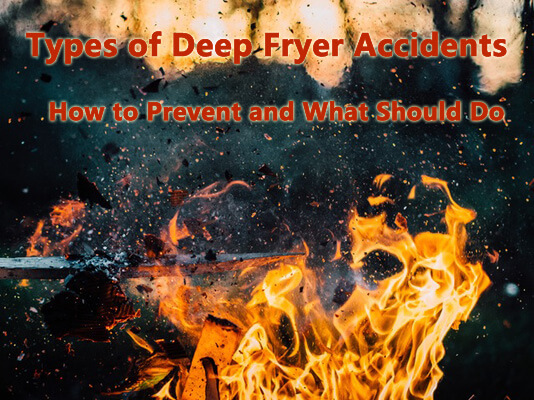 It is, therefore, the aim of this article is to provide individuals with in-depth information regarding the various types of deep fryer accidents, how to prevent them, and what one should do when they happen. 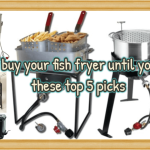 Deep frying is noted to cause three types of kitchen accidents that are noted to be caused by the fact that deep frying oil tends to reach very high temperatures that go above 400 degrees Fahrenheit. Moreover, frying oil is highly flammable and can easily flare up to lead to kitchen fires when the oil comes into direct contact with flames. 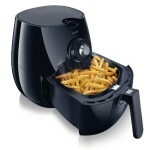 As such, accidents caused by deep fryers include falls, kitchen fires, and scalds. As mentioned, hot frying oil typically spills over when it comes into contact with moisture. As a direct result, individuals can get seriously hurt when these hot oil spills coat a kitchen’s floor surface to make it slippery. 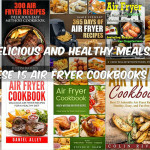 As one of the most known deep fryer accidents, kitchen fires are caused when frying oil comes into direct contact with flames. More often than not, these flare up happen when one puts cooking items that have a lot of moisture or water into very hot frying oil. Once the water comes into contact with the hot frying oil, it quickly turns into super-heated steam which quickly expands to cause the hot oil to splatter onto open flames and flare up. As noted, deep frying oil reaches very high temperatures that can easily cause an individual to suffer from third-degree burns. This is due to the fact that unlike water, hot oil tends to be much thicker. As such, when the hot frying oil comes into contact with your skin, it is harder to cool and wash off with cold water because it remains on the skin for a long period of time to cause severe scalds. In home kitchens, serious scalds or burns are noted to occur when an individual slips and reaches out to steady themselves by holding onto the deep fryer. In so doing, they cause the hot oil in the fryer to splash onto their skin. 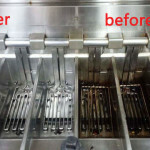 In commercial kitchens, most kitchen staff get seriously burned or scalded during the process of cleaning commercial deep fryers, in a process commonly known as boiling out. Owing to the fact that frying oil is highly flammable, deep frying your food near structures or materials that can easily catch fire is not advised. It is best to keep a safe distance between the deep fryer and wooden structures by deep frying large amounts of food outdoors. 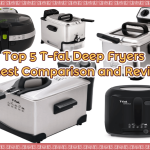 For individuals who prefer to deep fry their food in their home kitchens, it is vital that they ensure that the positioning of the deep fryer is perfect. This means that the fryer ought to be situated away from kitchen equipment that could cause water to spill or splash into the fryer. Since water and hot frying oil do not mix well, it is best to deep fry foods that do not have a lot of moisture in them. Frozen foods, in particular, have a great deal of frozen water in them and should never be immersed in hot frying oil as this frozen moisture will melt and form steam bubbles. These steam bubbles cause the hot frying oil to spray on individuals, surfaces, and in worst case scenarios on open flames and lead to the flare up of dangerous fires. 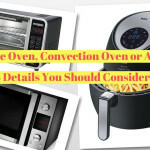 Regardless of the amount of moisture contained in the type of food you want to deep fry, having too much oil in the deep fryer will result in excessive oil spillage on nearby surfaces once the food has been immersed. This can lead to serious bodily harm and kitchen fires. 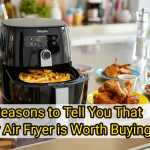 It is worth noting that because most home deep fryers do not come equipped with thermostats, it is very easy for unattended frying oil to continue heating up to the point where it actually goes up in flames. To prevent such fires, one ought to keenly keep an eye on their heating frying oil and never leave it unattended. Important Tip: The first sign of overheated deep frying oil is the presence of smoke emissions from the deep fryer. First Degree Burns– These types of burns are often quite painful and are characterized by having a swollen red appearance. First aid for first-degree burns requires one to soak the affected area in cold water for at least five minutes to reduce swelling. The area should then be treated with an aloe vera balm or antibiotic ointment that will protect as well as heal the injured skin. Second Degree Burns– These types of burns are thicker than first degree burns and commonly produce skin blisters that are red and swollen. First aid treatment for second-degree burns involves soaking the affected area in cool (rather than ice or ice-cold water) water for approximately fifteen minutes and the application of an antibiotic ointment. It is also vital that one avoids breaking the burn blisters and seek medical help for wound dressing. Third Degree Burns– These burns cause extensive damage to all the skin layers to make the skin appear charred or white. They tend to be relatively painless as the tissues and nerves in the affected area are damaged. First aid treatment includes taking the injured person to the hospital immediately. As a general rule, you should never use cold or hot water to try and put off a fire that has been caused by cooking oil. Pouring water onto oil flames only worsens the situation as it leads to two outcomes, namely, hot oil splashes (due to the reaction of water with hot oil) and the possibility of spreading the oil flames on to other kitchen surfaces. Due to the facts that oil floats on water and this water will spread on surfaces faster than oil, pouring water to extinguish oil flames only works to spread the flames faster and cause further fire damage. To put off oil flames, it is best to use a portable fire extinguisher. 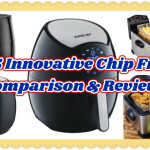 In sum, one should always ensure that they have the right amount of frying oil in their deep fryer, and that the frying oil is never allowed to overheat. Furthermore, the food one intends to deep fry should contain minimum amounts of water or moisture in order to prevent hot oil spills. To prevent oil related fires from spreading, one should avoid using water to extinguish any oil flames and opt for a portable fire extinguisher instead. 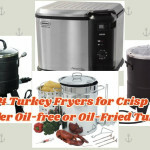 Considering the aforementioned risks associated with deep frying, it is vital that all individuals adequately learn how to avoid the common mistakes that people make to cause deep frying accidents in their kitchens, and arm themselves with basic first aid knowledge for treating hot oil burns. Any ideas of this topic? Just let me known at the below comments.